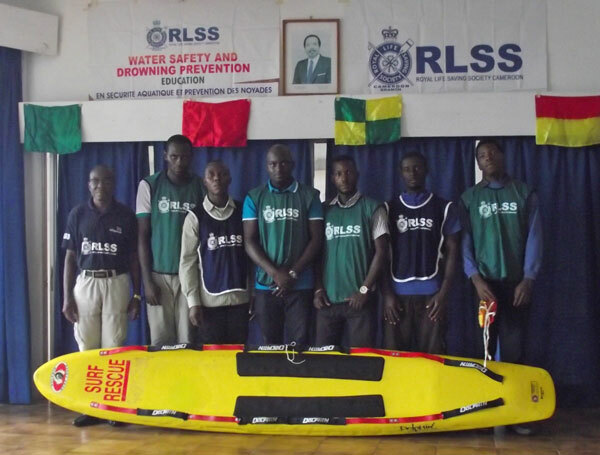 I have the honour and the pleasure to advise you that the Royal Life Saving Society Cameroon Branch (RLSS Cameroon Branch) is gaining more recognition as the from local governmental authorities as we are working hard to expand our drowning prevention, water safety education, lifesaving and lifesaving sport training and competition. It took us 3 months of sensitisation, explanations, hard work in the field, meeting different stake holders and writing letters, to place the Royal Life Saving Society Cameroon Branch as the drowning prevention, water safety education, lifesaving, lifeguarding and lifesaving sport training leading organisation in Fako Division, the South-West Region and Cameroon. Our efforts to expand water safety education, lifesaving and lifesaving sports training, as well as to prevent and reduce the unacceptable loss of human life through drowning and water related injuries, have been significant in the past few months and have produced incredible results compared to our expectations. Our work has been focused in the seaside district of Limbe – located in Fako Division, the South-West Region of Cameroon where the great majority of the population speaks English as their first language and where many children, young people and adults alike, drown on a regular basis. 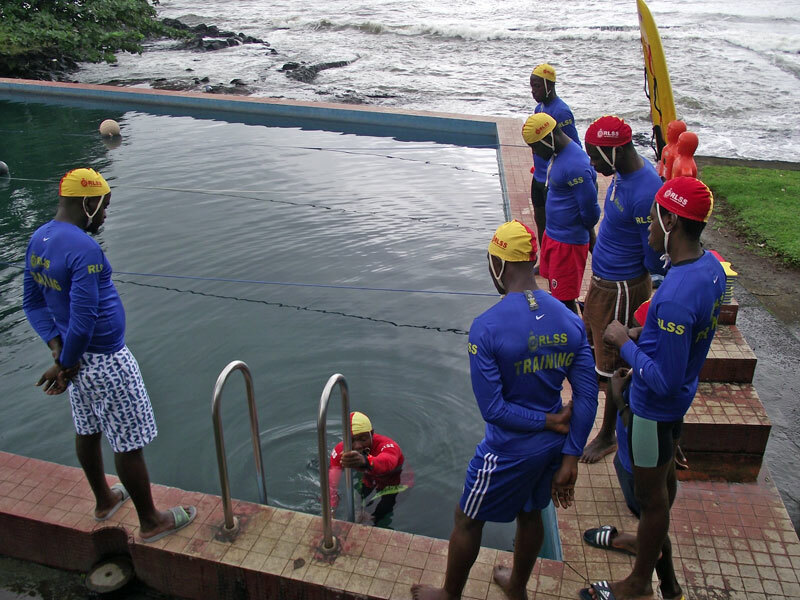 With the support and assistance of the South-West Region’s Regional Delegate of the Ministry of Tourism and Leisure of the Republic of Cameroon, RLSS Cameroon Branch organised and conducted the very first Lifeguards Training Camp in Limbe, Fako Division and the South-West Region of the Republic of Cameroon. We have had 11 candidates who participated at this very first Lifesavers/Lifeguards Training Pogramme, with the majority of participants coming from various hotels and leisure centres across the South-West Region. Their quick response to our call to enroll their Lifesavers/Lifeguards is evidence that our message has reached the hearing ear as well as drowning prevention, water safety and lifesaving-minded people. The subjects taught to the trainees lifeguards were based on the International Beach Lifeguards Training Programme found in the International Beach Lifeguards – Instructor’s Manual provided by the Royal National Lifeboats Institution (RNLI). All the candidates where very excited to learn new lifesaving, lifeguarding and first aid skills. Together, we did hard work and demostrated commitment and volunteerism despite rainy and cold weather. At the end of this training programme, we were happy and proud to see 8 candidates achieving their goals and passing their Lifeguards Qualifications Level 1 while the 3 other candidates were receiving their certificate of attendance. 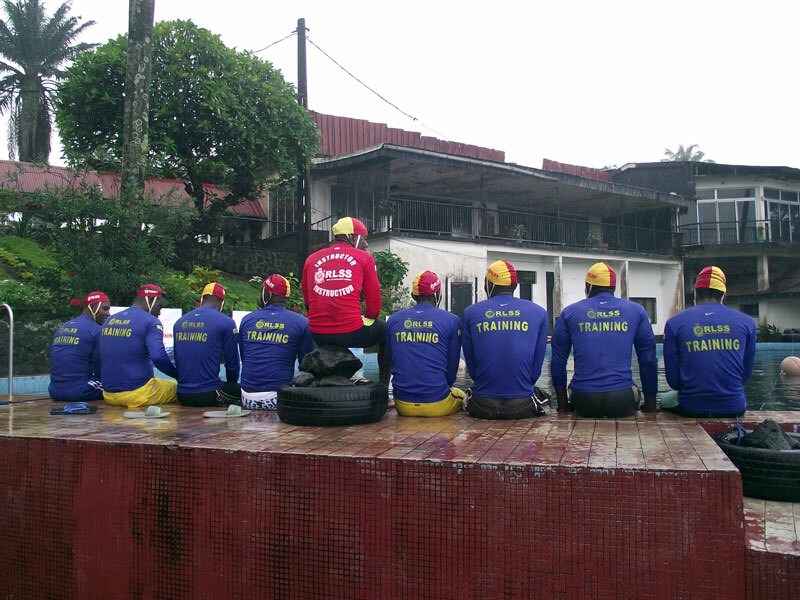 We continue to encourage those hotels and leisure centres who fail to enroll their beach and swimming pool staff at this first Lifesavers/Lifeguards Training programme to enroll them next time, when we organise another programme in the days, weeks and months to come. 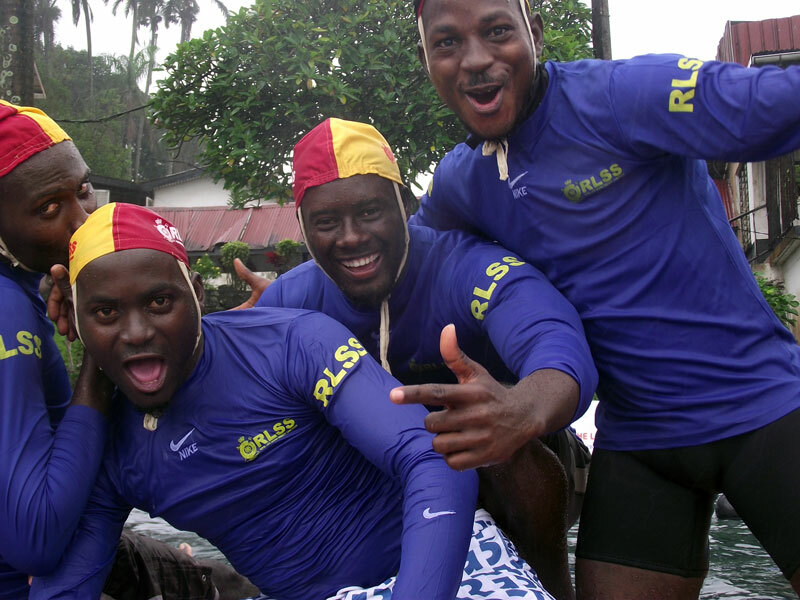 Following this first Lifesavers/Lifeguards training programme, organised in the South-West Region of the Republic of Cameroon, and the great and positive result we have obtained, RLSS Cameroon Branch is working hard right now in view of setting up a RLSS Branch in this Region. 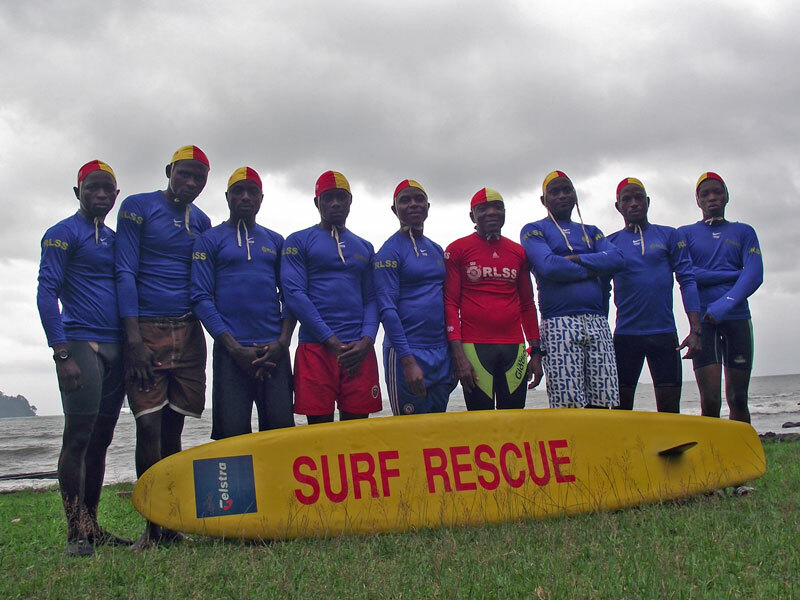 We believe that with courage and hard work, as well as your full support and assistance, we will be able to overcome this challenge and spread drowning prevention strategies, water safety education, lifesaving, lifeguarding and lifesaving sport in Cameroon.